The Road to Valhalla was a Dutch melee competition presented by Sector-Z and Spice. 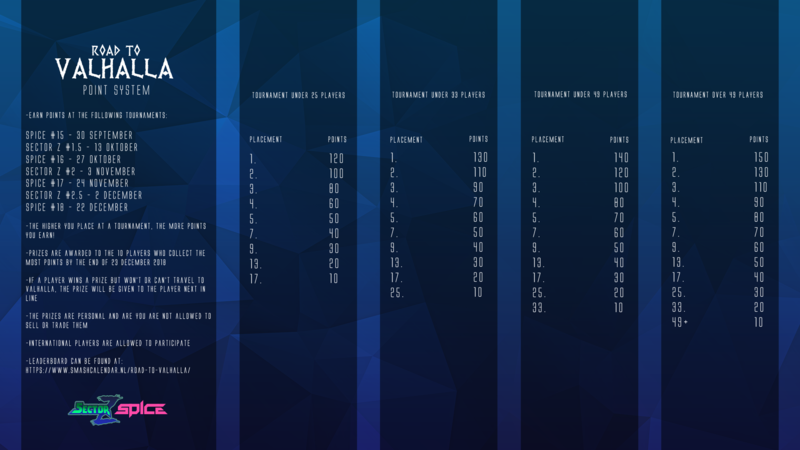 Players earned points by attending a series of tournaments over a period of four months, from September 2018 to December 2018. A number of smaller prizes were at stake, but most coveted were the three flight tickets and six entry tickets to the European super major: Valhalla II, in Denmark.